Injured In a Columbus Car Accident? I’ve Dedicated My Career to Helping Folks Just Like You. Seriously injured in an auto crash in Ohio? Wondering where to turn, what to do? Look no further. 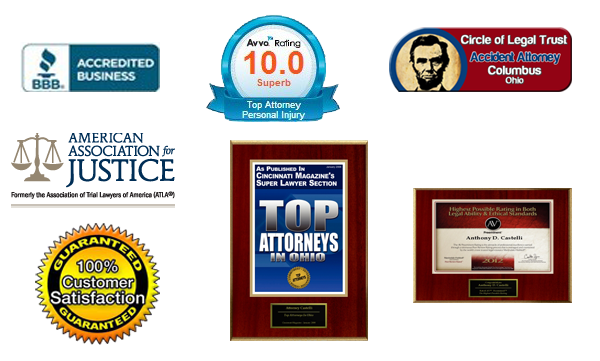 You have found Columbus motor vehicle accident lawyer Anthony Castelli. With over 25 jury trials and thousands of settlements, thousands of clients have chosen Anthony to help them recover millions in compensation. Noteworthy of his skill at helping injury victims are his results page, testimonials from clients and others, and his high peer review ratings. A top rated car accident injury lawyer with 32 years experience, Anthony Castelli will use his brand of Uncompromising Advocacy and Uncompromising Compassion For You to seek maximum money damages. Fees are contingent on recovery of compensation for you. * You may be entitled to compensation which can pay for your medical bills, lost income, pain and suffering, and more. Columbus car accident attorney Anthony Castelli is here to help you. His focus is on attention to your needs and protecting your right to be treated with dignity and recover full money damages for the harms you suffer. That is why he offers a 25% contingency fee in cases of clear liability. Many charge more. Learn if your claim is a clear liability case in the opinion of Anthony Castelli. If it is, then get the Castelli difference to benefit you. Come to the law firm where everybody knows your name. Call 1-800-447-6549 today to schedule your FREE Claim Evaluation. If you have been injured in a car accident, you do not have to deal with the seasoned insurance adjuster trained to pay you as little as possible. Anthony will deal with them on your behalf. He promises to fight with all his heart for you . This means trying to collect the best evidence possible to put your injury claim in the most favorable light for just compensation. Attorney Anthony Castelli’s goal is to help you collect full compensation for your injuries or for the loss of a loved one. He will communicate with your doctors and he and his staff will coordinate their efforts to help you recover physically and financially. Anthony will carefully evaluate all the damages you are entitled from your auto accident. He will seek maximum compensation on your behalf. 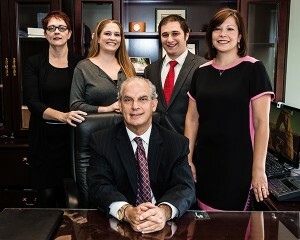 While he knows that most clients want to resolve their case by settlement and most claims do settle, before or after a lawsuit, Anthony seeks to prepare your case so the insurance company sees it is just not idle talk that if fair compensation is not forthcoming, a lawsuit will be filed and prepared for trial. You are certainly looking for a car accident attorney you can rely on. One that you can trust. One with extensive experience and a proven track record. A lawyer that will communicate with you and stand up for what is right and just for you. Anthony really welcomes your call to speak with him at no cost. Anthony has the highest rating from recognized peer review companies. Preeminent by Martindale Hubbel and Superb by AVVO . 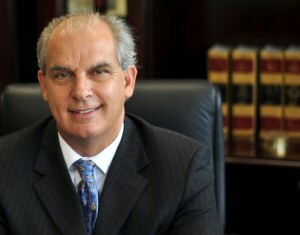 He is listed in Ohio Super Lawyer Magazine in personal injury. No more than 5% of the attorneys in the State are selected by Super Lawyers. It costs you nothing to get started. Your initial consultation is free of charge, and you are under no obligation to hire our Ohio law firm. If we represent you, we only get paid if you get paid. We will not ask for a retainer or charge hourly attorney’s fee to handle your car accident claim. Instead, we work on a contingency basis. We generally advance costs in most cases. Just pick up the phone and call. If you or a loved one has been injured or killed in a car accident in Columbus or anywhere in Ohio, please call Anthony Castelli car accident attorney in Columbus at 1-800-447-6549 or submit an online questionnaire. Your initial consultation with Anthony Castelli is free of charge. If we agree to handle your case, we will work on a contingency fee basis, which means we get paid for our services only if there is a monetary recovery of funds. In all cases, a settlement must be reached or lawsuit must be filed before an applicable expiration date, known as a statute of limitations. Please call right away to ensure that you do not waive your right to possible compensation. Join Anthony Castelli on Google + View below and click on our trust review agencies. *We generally advance expenses of litigation to be deducted out of any recovery. All fees and expenses are bases on a written fee agreement. If there is no recovery there is no fee and expenses we advanced are not recovered. Fee’s are generally 25%-33% of recovery depending on various factors in your claim. Disclaimer Nothing on this site is intended to imply that Anthony Castelli guarantees or can achieve a particular result for your case. Every case is different with multiple factors that go into a success or unsuccessful result. This website is for general information only about the law practice of Anthony Castelli, a lawyer licensed in Ohio, and does not constitute legal advice for your claim nor does use of this site or filling out a contact form constitute an attorney client relationship. There is also general educational inormation content. Legal advertising.